Our office is conveniently located on E. Eldorado Parkway and is accessible via all the major roads. We are proud of our office which fully utilize state of the art equipment. 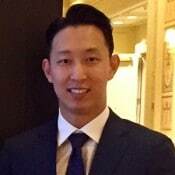 Dr. Tae Song is the newest member of the Lakeside Dental team. Dr. Song graduated from the University of Texas in Austin with High Honors and received his dental training at the University of Texas School of Dentistry in Houston. Having lived in Texas for more than 20 years, he considers himself to be a Texan and a true Longhorn. Dr. Song is thrilled to be joining arms with a team of talented dentists who strive for perfection in all aspects of dentistry. Dr. Song loves staying involved in the community and giving back by regularly participating in Mission of Mercy and Give Kids a Smile programs. Most notable community outreach was a mission trip to Guatemala where he provided free dental treatment for the families living in Antigua with no access to dental care. When he doesn’t have gloves on his hands, Dr. Song spends his time at the gym and also plays soccer and basketball religiously. With a passion for continuing education and his love for new technologies, Dr. Song is committed to providing dental treatment at the highest standard of care. He strives to treat all patients as if they were his family with gentle, compassionate care and cannot wait to welcome you to Lakeside Dental. 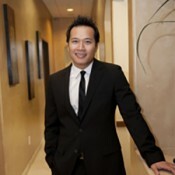 Dr. Rick Linavong is a native of the Dallas/Forth Worth area. He was raised in Rowlett, a small town in the eastern part of Dallas county that is surrounded by Lake Ray Hubbard. He received his undergraduate degree from Texas A&M University in 1996 and his Doctor of Dental Surgery degree from Baylor College of Dentistry in 2001. 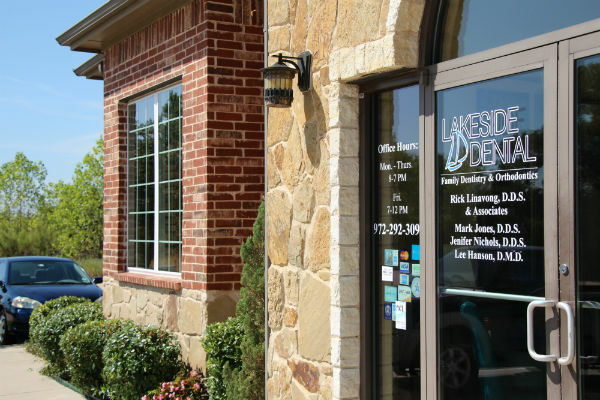 Dr. Linavong was the first dentist in Little Elm when the town’s population was only 5,000. He chose to practice in a small town because of his upbringing and remembers the charm of close knit community. Dr. Linavong wanted to bring personal, caring, state of the art dentistry to Little Elm. Although the town has grown in leaps and bounds since, Dr. Linavong’s commitment to the community and his patients has not wavered. He actively stays involved in the community by working with the Little Elm School District to provide oral health presentations and screenings. He enjoys providing the highest level of dentistry and it shows by his desire to expand his knowledge through continuing education, so that he may provide a more comprehensive care for his patients. Dr. Linavong and his associates provides all aspects of dentistry in an attentive, compassionate, caring environment catering to your personalized needs. Dr. Lee Hanson received his dental training at Tufts University in Boston. He has lived in Rwanda and Italy and speaks French, Italian, and is learning Spanish. Dr. Hanson practiced dentistry in Oregon and California before he and his wife Lisa settled here in Little Elm where they are thrilled to be living now. He enjoys working at Lakeside Dental and getting to know the community through his work here. 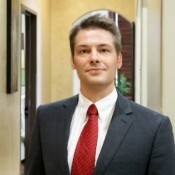 Dr. Hanson is detail oriented and committed to superior long-term oral health results. He offers gentle, thorough patient care. Dr Hanson brings a sense of artistry to his work and is committed to providing a high-quality dental care experience for his patients. Along with the rest of our friendly staff, Dr. Hanson looks forward to welcoming you to our office. For new patients, please use the button below to fill out new patients forms prior to your first appointment. For existing patients, please use the login button below. For other contact reasons, please fill out the form below, thank you. CareCredit with online application is also accepted in our office.